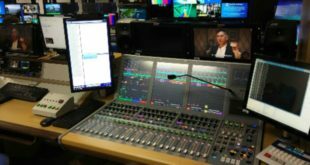 Home / Post & Production / As Norway goes digital, what of FM’s future? As Norway goes digital, what of FM’s future? Jerry Ibbotson looks at the reasons behind Norway’s decision to go fully digital, and asks whether it could be a sign of things to come in other countries such as the UK. Radio is an industry that is used to change. I can remember sitting in my car (a battered blue Yugo, as I recall) in the early 1990s, listening to FM test transmissions for BBC Radio 1. It had a slightly end-of-days feel to it, as a pre-recorded voice rolled on and on, promising something new and exciting. Up until then the only way to listen to the UK’s biggest station was on crackly, whistly (and mono) AM: 1053 to 1089. Crazy days. Now the news has broken that Norway is about to switch off its FM transmitters altogether in favour of digital. 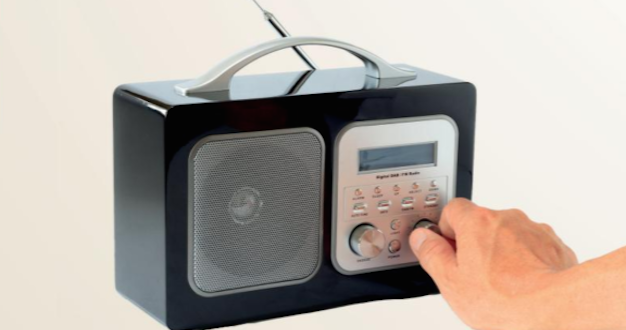 The country has been very successful in persuading the public to adopt DAB – there are thought to be almost four million digital radios in a country with a population of just over five million people. Now, as part of a yearlong project, the FM frequencies will be killed off. The plan is to roll it out around the country with the main radio stations – both public service and commercial – leading the charge. It’s a practical move. The geography of Norway (it’s a long, thin, mountainous country) lends itself to the digital system over FM, which needs repeaters to give full coverage. The switchover is state backed but before it could receive government approval, DAB coverage had to be at least as good as analogue, which it achieved. To find out more, I spoke to Mike Hill, the MD of Radioplayer, a non-profit partnership between the BBC and commercial radio. Radioplayer is based around radio listening via the web but Mike is also a genuine radio guru, speaking at events around the globe to promote new and easier ways to listen. He spent many years in the BBC, including being a news producer at Radio One and in management at BBC 5Live.?? Is this move a surprise to you? “We’ve (Radioplayer) worked quite closely with the Norwegian broadcasters over the past few years, as they’re one of the countries which uses our Radioplayer technology. The FM switchover in Norway has been one of the most carefully planned operations ever carried out in the world of broadcast media. They’ve been preparing for it for years, if not decades.”?? “It makes sense to them, which is what matters. Norway has a very specific topography, and a unique set of characteristics, in terms of its media and its economy. I can absolutely see how they ended up deciding to go for a government-mandated switchover.”?? 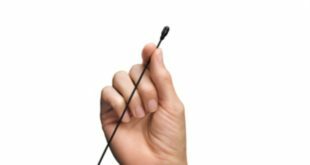 What kind of penetration does DAB now have in Norway – is it a genuine replacement for FM? Mike’s last point tallies with sales of DAB radios in Norway. It’s been reported that at Christmas 2016, 300,000 Norwegians got a digital radio from Santa. That doesn’t necessarily mean they’re all listening on digital as most DAB units have FM as well, but it does signal that the baton is ready to be passed. One area that throws up a challenge is in-car listening. According to Radioplayer’s own research carried out in the UK, France and Germany, 82% of drivers would not consider buying a car with no radio and even in cars with full multimedia systems 75% of listening is to the wireless. And figures from RAJAR show that, in the UK, a higher proportion of radio listening is done in cars than ever before. But DAB is still a relatively recent arrival on the dashboard and even in 2017, not every new car comes with a digital radio. Plus, of course, not everyone drives a new car – Norway applies a sales tax of 25% to new motors, plus a hefty registration tax. This means a lot of people tend to drive second hand vehicles: there are 2.3 million on the road with only FM. But still, the team behind the FM switch-off sent advisers into Norwegian car dealerships to educate the motor trade about the strengths of having DAB in-car. So is this likely to happen in other countries? In the UK there are three digital radio multiplexes (the DAB transmission system), with one for the BBC and two for commercial outlets. Hill thinks a UK radio switch over is possible: “I think the UK will have a gradual ‘listener-led’ change to digital. 50% of all radio listening will be digital later this year, or early next year. Once analogue is a minority distribution platform, broadcasters will start to ask themselves if the cost of dual transmission is worth it. According to the BBCs own website, it’s unlikely there will be a Norwegian-style switchover in the UK before 2020. Even then, the analogue system may still be used for local and community stations. This is what the Norwegians are already putting into practise with the aim that every station – big or small – will still be able to reach its audience. So rumours of FM’s death may be a little premature.